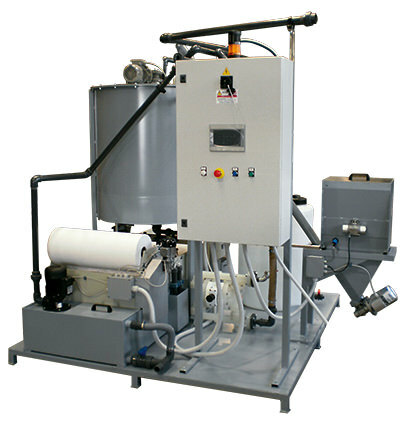 This system is used for recycling the process water after mass finishing processes and is able to separate the solid phase like sludge with low water concentration. The plant is particularly versatile and flexible thanks to a complete automatic cycle which does not require the presence of the operator. 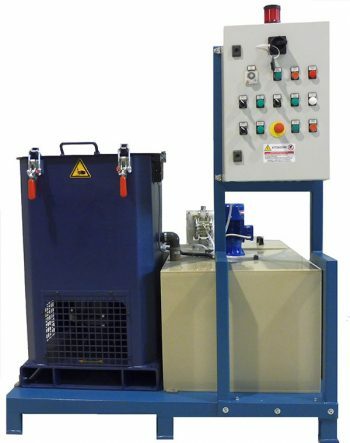 The centrifugal force machine model MC 1000 is a simple and inexpensive solution for the mechanical and automatic water treatment through the settling of solid particles. The treated water can be reused for new cycles without adding chemical compounds.